Although a broad array of statistical methods for analyzing spatial point patterns have been available for several decades, they haven’t been extensively applied in an ecological context. 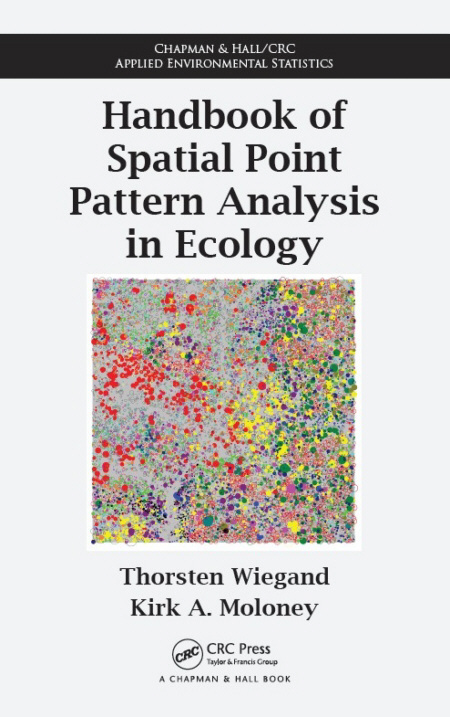 Addressing this gap, Handbook of Spatial Point Pattern Analysis in Ecology shows how the techniques of point pattern analysis are useful for tackling ecological problems. Within an ecological framework, the book guides readers through a variety of methods for different data types and aids in the interpretation of the results obtained by point pattern analysis. Ideal for empirical ecologists who want to avoid advanced theoretical literature, the book covers statistical techniques for analyzing and interpreting the information contained in ecological patterns. It presents methods used to extract information hidden in spatial point pattern data that may point to the underlying processes. The authors focus on point processes and null models that have proven their immediate utility for broad ecological applications, such as cluster processes. Along with the techniques, the handbook provides a comprehensive selection of real-world examples. Most of the examples are analyzed using Programita, a continuously updated software package based on the authors’ many years of teaching and collaborative research in ecological point pattern analysis. Programita is tailored to meet the needs of real-world applications in ecology. The software and a manual are available online.